A Proper Drink is part narrative, part recipe book. In it, Robert Simonson traces the origins and growth of the modern cocktail revival from a dark time before the ubiquity of different types of bitters to the present, where cocktail bars have begun to spring up in suburbs, Nick and Nora glasses are in high demand, and cocktail recipes appear after network news. Familiar characters amongst cocktail folk, like Dale Degroff and Dave Wondrich* make their appearances — as do more surprising cameos, like TGI Friday’s, whose early days Simonson describes as an “incubator of bartending skill and discipline.” Philip Duff, quoted in the book, goes a step further — “there would be no cocktail movement without them.” It’s hard to imagine now, when the first drink on their Handcrafted Cocktail Menu is an Ultimate Long Island Iced Tea. As the book progresses, the swirl of names and bars can be overwhelming, although I was happy to learn more about the influence of Boston heavyweights like Brother Cleve, Jackson Cannon and Misty Kalkofen. 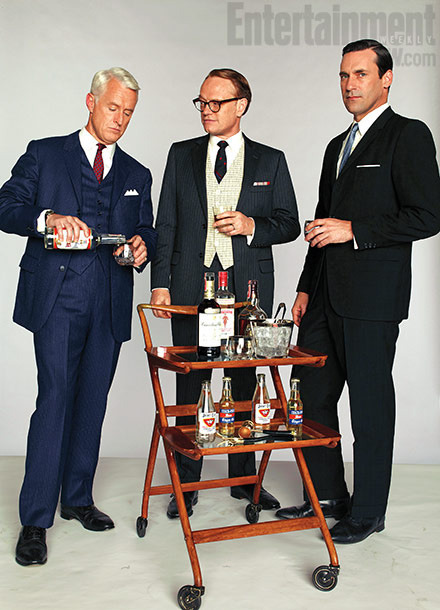 Imagine this trio living together, pooling bottles and knowledge, stirring up the nascent Boston cocktail scene … Now, imagine actually running into one of them, since they’re all still in Boston. If anything, read A Proper Drink to prepare your cocktail elevator pitch. The cocktail revival is inherently nostalgic, and in a sense, Simonson’s book reads like a historical text. Its book design even positions it as a relic of the 1950s, like it belongs on a dusty mid-century modern bar cart in Neddy Merrill’s house. There’s a weighty joy in the rediscovery of recipes and bottles and cocktail culture that were once lost to history, and by pouring a Hanky Panky, we can relive that history. Everyday banality floats away with the buzz of a cocktail lifted from the pages of an antique tome, or from the pages of A Proper Drink. Or, thanks to the revival, we can stir up a modern classic. The Siesta is a riff on the Hemingway Daiquiri, which adds grapefruit and Maraschino to the mix. The Siesta, by contrast, substitutes tequila for rum and Campari for Maraschino. shake, strain into chilled coupe. garnish with a lime wheel.